Mother this Pentax SMC Takumar 500mm f/4.5 Asahi is HUGE! 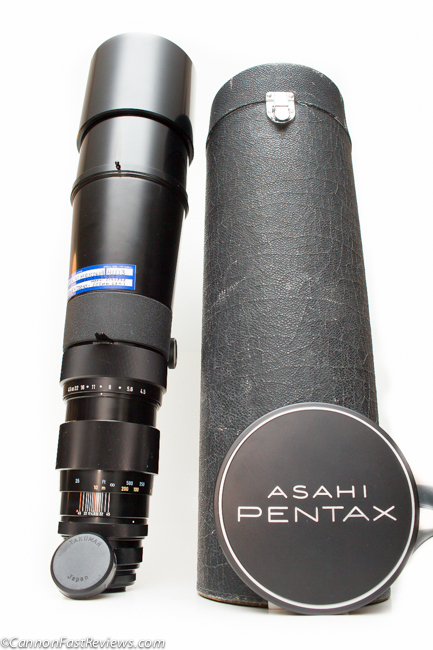 This lens shows the amazing mechanical work Pentax was famous for. It has great optics at its time and still holds its ground even today. Posted in 500mm Lens, Blog, M42 Mount Lens, Pentax Lens, Pentax Takumar Lens, Super Telephoto Lens and tagged with Pentax 500mm 4.5, Pentax 500mm Review, Pentax Takumar M42, Super Telephoto M42, Takumar 500mm. RSS 2.0 feed.